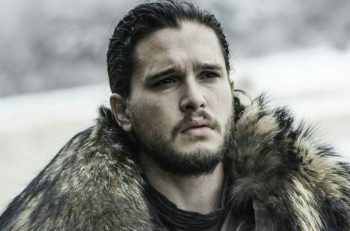 WARNING: The following article contains spoilers from Game of Thrones‘ Season 8 premiere titled “Winterfell”. Please do not read if you have not seen the episode or read ahead at your own risk of being spoiled. Winter is here everyone, winter is here. I can’t believe Game of Thrones is FINALLY back after what felt like forever of a wait. Boy did that premiere deliver. A lot was unearthed in this hour, and as we grow close to the end of it, we know that so much more is to come. Parallels of the pilot’s opening sequence. The first few minutes of the premiere definitely takes us back to the show’s pilot, mirroring some of the most iconic parts. 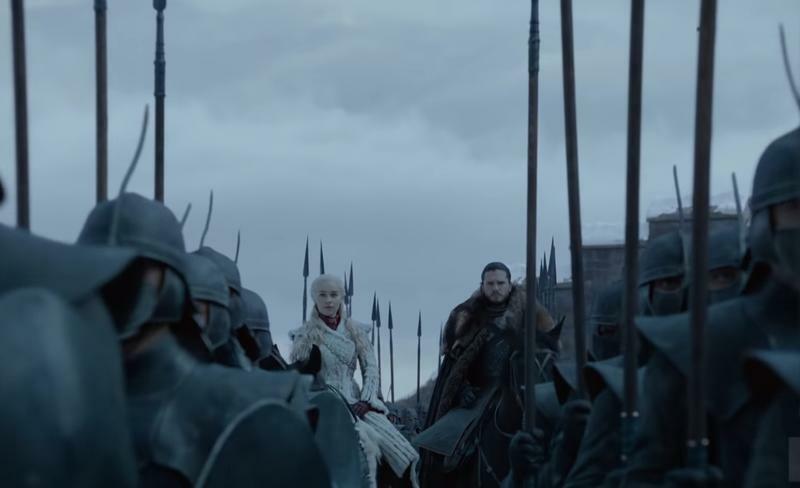 This time, instead of the king’s arrival, it was the queen’s arrival plus Jon. Sansa and Dany finally meet, let the tension continue. 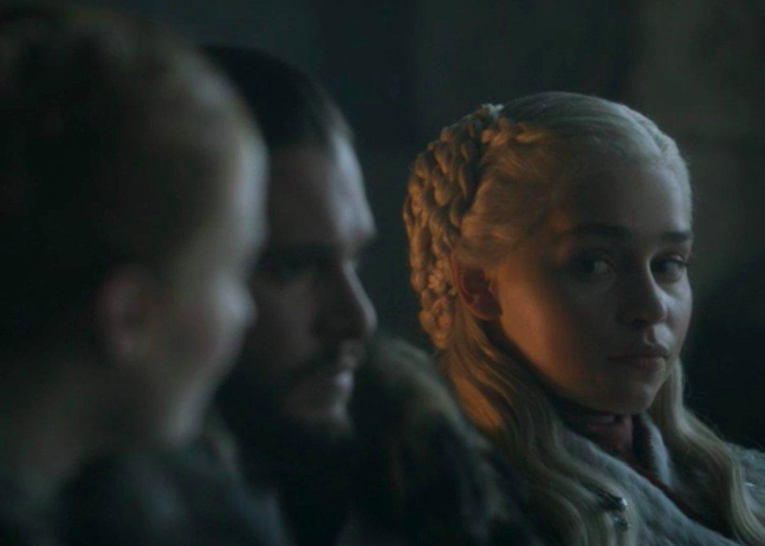 It’s so clear that Sansa does not like Dany; she’s wary of her which is understandable, though I do believe Dany was trying to be as polite as she could in this moment. 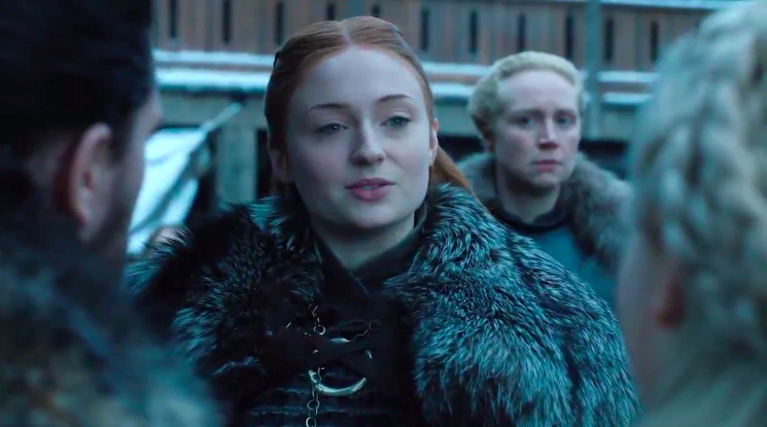 Sansa returns it back with those cold piercing stares she gives out and the subtle remarks she makes. The sass continues again but this time with Dany clapping back in defense of her children, her dragons. Someone needs to tell Jon that the Bran he knew when he left for the Night’s Watch in Season 1 is not the same Bran. Nonetheless, it’s nice to see Jon be able to hug him after so long. Arya and Jon’s long awaited reunion. That moment between them was a long time coming for sure and so beautiful. Arya and Jon had the sweetest sibling relationship; Arya never shy-ed away from being her real self with Jon and I’m just so happy to see these two reunite after all this time apart. Of course, they talk about their swords. It was the reunion I was waiting for for so long and it was delivered so preciously. The last time these two saw each other was during Joffrey’s wedding and his satisfying death. She ran away with Littlefinger and it all went downhill from there for Tyrion. He’s always shown kindness to her and she mentions how they are both are alive now after having gone through all the pain. He sees that’s she’s grown and matured now, but she still can’t fathom that Cersei actually has agreed to side with them to defeat the dead. 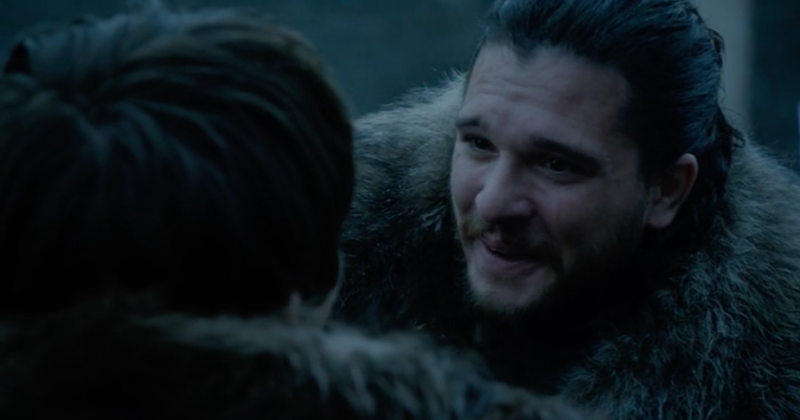 The truth is out; Jon finally learns about his parentage from Sam. It was fitting to see Sam be the one to spill the big news about Jon and his identity. He finally knows. Does it bother him that Dany, his new lover, is actually his aunt? His face makes it a bit hard to read. But he does make it clear that he has no interest in being the heir to the iron throne; he just wants everyone to survive the war. But now that he has found all of this out, it’s going to change things. It might bring a rift between him and Dany later on. But right now, I think he is only trying to process everything he’s just been slapped with. The ultimate showdown: Jaime Lannister arrives at Winterfell and faces Bran Stark. This moment right here brings chills like no other. 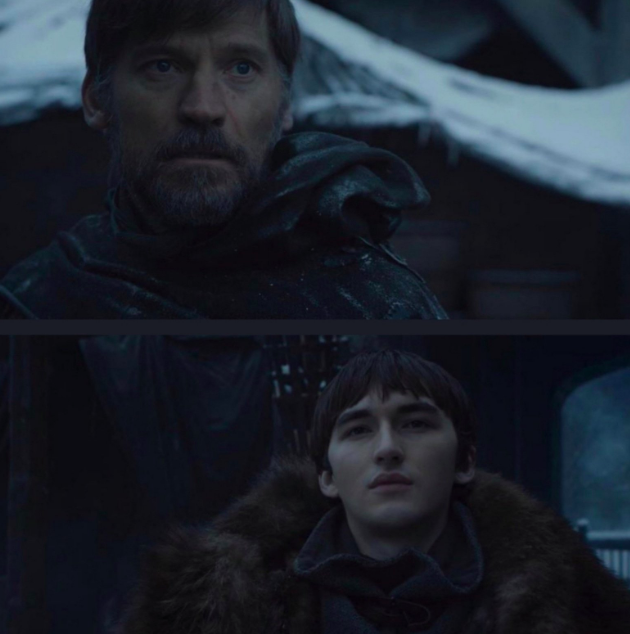 Bran purposely waits for Jaime as he wants to see him face to face, more like stare him at him so deep to let him know he’s still around. The man that made him cripple, the man that intended on killing him is now right in front of him and you can see the terror on Jaime’s face. Tormund is alive! But where is Brienne? I need to see Brienne! The Northerners have never seen Black people before, and the look Missandei and Greyworm give each other is priceless. They are already over it. Cersei wants elephants and she didn’t get them. Arya and Gendry reunite as well. The growth of these two shines so bright as they look at each other. Do we spy Arya…flirting? Oooh. Sam finding out about the death of his father and brother was so sad. 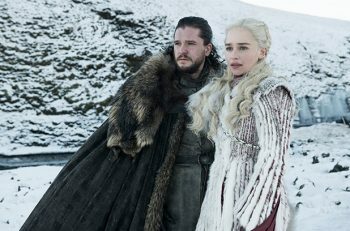 The final season of Game of Thrones airs Sundays at 9pm on HBO!